Lugging that 20kg suitcase downstairs and to the car can be hassle enough. Once at the airport, you grab that trolley and head to the check-in desk, which isn't too bad yet you know the pinnacle of frustration is once you've landed: you're at the luggage conveyor, jostling with other travelers watching, waiting for their bag to wind its way to their side of that flat rubber snake. Seriously, I've had enough of that. Not to mention the extra charges that may be applied for check-in luggage. We are now able to print off boarding passes online, and so it's possible to head direct to security, hold up our passports and stroll to the departure gate. Easy. We don't need to check in a heavy suitcase, all we need to do is simply pack light from the outset, and off we go! That is precisely what my wife and I did last week. Okay, so you're thinking "What the hell did you pack?" Yes, we had hand luggage only. Going by airline guidelines we were each allowed 5kg in a bag of 55cm x 40cm x 20cm dimensions. In the past, what I used to pack is quite ridiculous. Technology now allows us to forget about personal stereos and a dozen cassettes, three novels and a chunky video camera. That's what compact cameras, smart phones and e-books are for. (Actually, don't get me started on e-books! I'm old-school: I stuffed a paperback in each pocket of my combats, but I'm getting ahead of myself). Think about it, we don't need a t-shirt for every day of the holiday, nor three different pairs of "smart" trousers for the evenings, five "smart" shirts and certainly we don't need a fresh change of underwear each and every day. Be prepared to give your undies a quick soak in a sink and hang them in the sun. Remember, you'll be spending most of the time in your bikini or swimming trunks, right? So, back to the bag: all you need is a 30L rucksack (see image above). Nothing special. Even though when packed full it's over 55cm, when you squash its top down it'll be within the size restrictions. Don't worry. My bag contained the necessary stuff: underwear, a couple of shirts, shorts, extra pair of combats, swimming trunks, sandals, and a microfibre travel towel (those things are awesome, and ultra-lightweight). 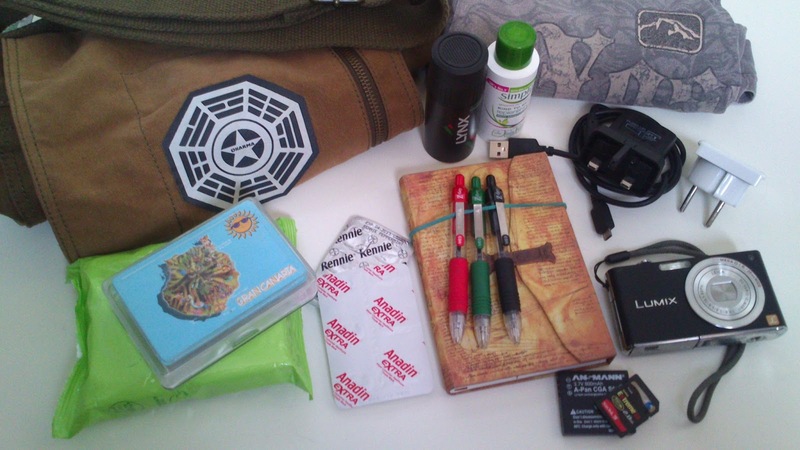 Oh, plus I had my Dharma Initiative bag which is now an important accessory to any of my adventures. I had a few other bits in there too. Of course, I must add I packed the required clear plastic bag full of little bottles (no larger than 100ml) containing shampoo, shower gel, deodorant, sun cream, etc. On this side of security, the rucksack weighed a little less than 5kg. This next part is the important bit, so take note. Adding to my list was a baggy jacket with plenty of deep pockets, and also a pair of combats, again with a number of pockets. You'll see where this is going. Yes, I've mentioned the word "pockets" twice so far because it's the keyword for this whole blog: it's all about pockets. I stuffed the jacket with my Dharma bag, phone charger and adapter, headache tablets, playing cards, my ever-trusty notebook and three pens, and a couple of rolled up t-shirts. Not forgetting my camera, spare battery and memory cards. Also, I helped my wife out with her bag weight, so I squeezed in a pack of face wipe things – they weighed a lot, just on their own! In total, the jacket weighed 2kg. There, those trays were waiting. I pulled one out and threw my bag into it, tugged my jacket off and wedged that next to the rucksack. 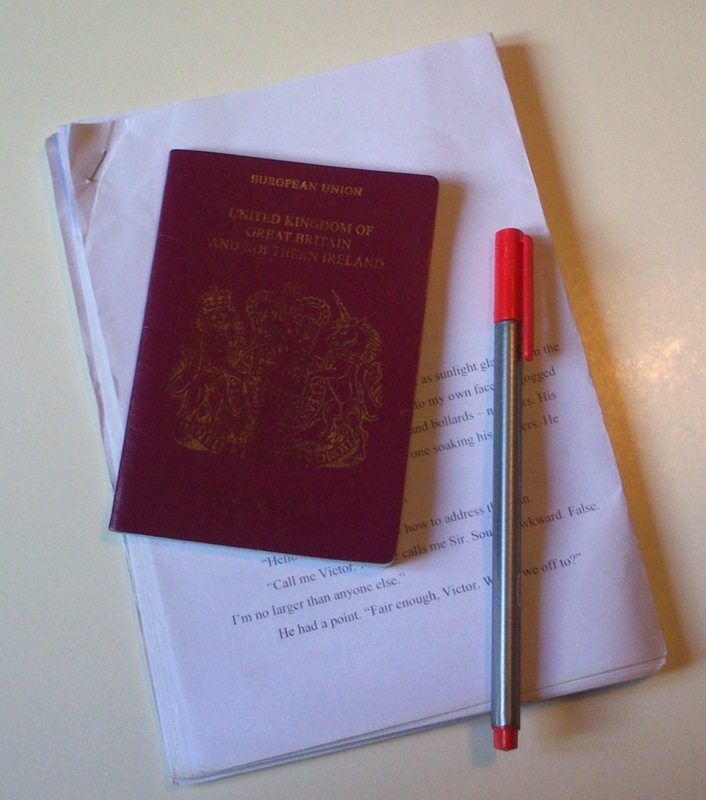 Then emptied my pockets and poked my books, travel documents and novel extract between them and walked through the metal detector. The security archway buzzed: I'd forgotten to remove my belt and a packet of mints, and so the guy had to give me the once over with his metal-detecting wand. He was happy I wasn't hiding a gun anywhere, and so let me pass. Grabbing my tray from the other side of the x-ray machine, it was time to use my rucksack's full capacity. The jacket I rolled up and stuck in there, plus my shirt and books, and The Shadow Fabric extract. Ah, and my hat and sunglasses. All gone. Hidden... Now my bag weighed more than 7kg. Easy. That bag was still small enough to sit between my feet on the plane. No one weighed my bag (nor my wife's), nor did anyone measure them. So, perhaps all our hard effort – and cunning packing – was in vain, who knows? Either way, we followed the guidelines. Once landed, we walked direct to our awaiting transfer. Not needing to join everyone else at the luggage conveyor, when usually I'd get annoyed when someone slams a trolley into the backs of my legs, or stands so close I can smell what they ate for lunch. Two things I must add: firstly, I forgot to remove from my rucksack the plastic bag containing the liquids and gels so the dudes at security could see what brands I smelled of. And second, I must confess that between my wife and I, we managed to take three blades onto the aircraft. No one challenged us. We had a razor packed (to be honest, we did that out of curiosity), but smuggling my two pencil sharpeners onboard was purely by accident. I'd left them in my Dharma bag. We made it to our destination, enjoyed our stress-free holiday and returned home, again with no problem. No one weighed or measured our bags anywhere. All three blades still with us. This is just a guide, so add and take away what you will. Please remember, this blog applies to a holiday in a hot country where you intend to spend most of the time laying beneath the sun, beside the pool and occasionally visiting places of interest. And where your evenings are relaxed, enjoying the traditions of local life. 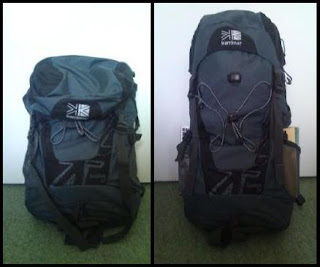 I doubt that packing light would work for the Inca Trail or a ski trip, but let me know if you manage it! phone and wallet, mints, etc. of my novel, The Shadow Fabric. Moral of the story? Wear lots of layers, each with many pockets. If you wish, you can buy yourself a travel waistcoat containing massive compartments (these are beginning to prove popular), then through security perhaps you can wear 10kg or more. Don't worry about lugging that extra weight around, it's only for a few minutes, because once on the other side you can pour it all into your rucksack. With such a waistcoat, perhaps that gives you 15kg to play with if you're unsure whether you can pack as light as we did. Think about it next time you travel on a plane. It's definitely going to be the norm for us. How Can I Spot Reduce Body Fat?